“The idea is to have a material that functions like the human skin, which means incorporating the ability to feel and touch objects,” said Ali Javey, associate professor of electrical engineering and computer sciences and head of the UC Berkeley research team developing the artificial skin. 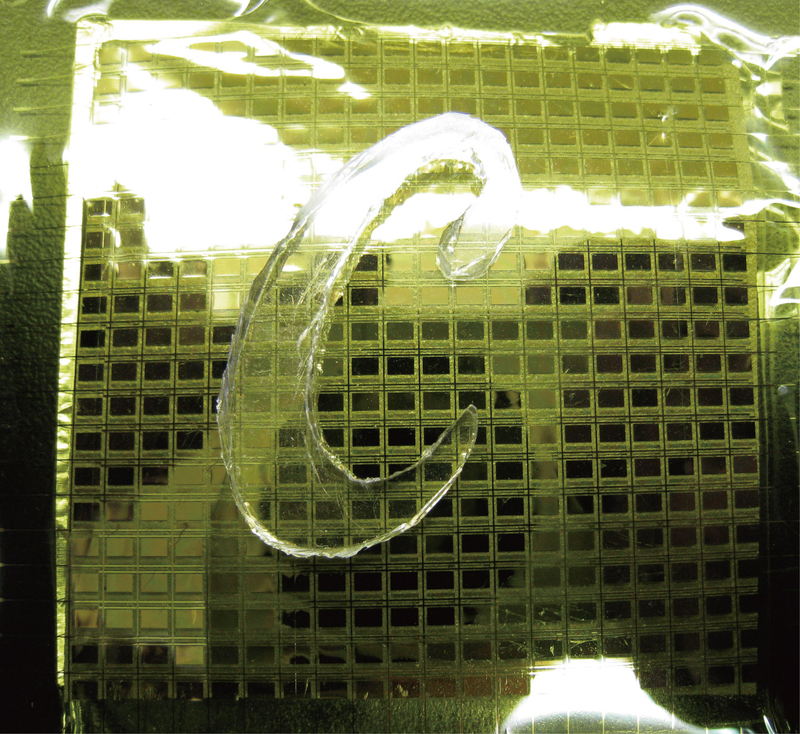 The artificial skin, dubbed “e-skin” by the UC Berkeley researchers, is described in a Sept. 12 paper in the advanced online publication of the journal Nature Materials. It is the first such material made out of inorganic single crystalline semiconductors. 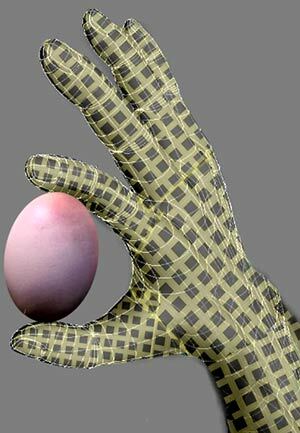 Photo of an artificial skin made of nanowires. 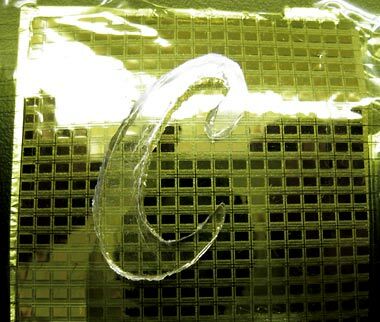 The e-skin was able to accurately sense the shape of the Cal "C" placed on top. Click photo to download print-quality image.